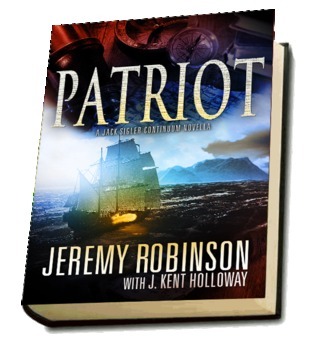 The year is 1775, and the first rumblings of the American Revolution are only just being felt. But the War for Independence may be over before it even begins. When General George Washington learns of a daring expedition by British troops to discover a place of ultimate power—and the key to immortality itself—he knows that to salvage the war effort, his forces must get there first. And to find the legend, Washington must employ a legend. Rumors of an ageless pirate who has haunted the high seas for more than a century abound. General Washington commissions an expedition to find and hire the immortal pirate, Lanme Wa—the Sea King—who has been stretched to the point of breaking, and who wants nothing more than to be left alone. This is an unusual story as Jack Sigler does not make his shark infested entrance until the half way mark. Then it’s a fast chase to the end. Things aren’t wrapped up neatly like previous episodes, so maybe the next (and last) Sigler story will wrap up all the threads of this 24 book series.